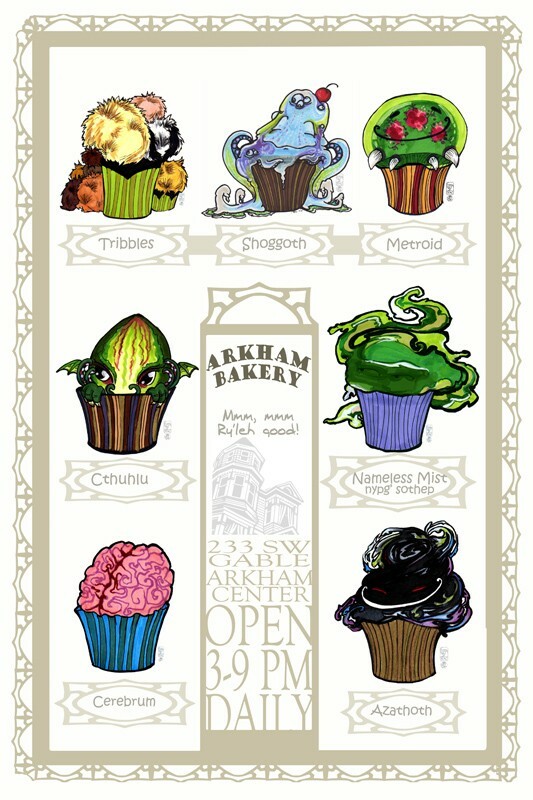 This is only a poster right now but at least it lets us pretend we can buy Cthulhu, Shoggoth and Azathoth cupcakes. Hopefully sales of the poster (it's $20) will take off and they can open a real bakery soon. Or just start selling the cupcakes online! That Azathoth cupcake...it, it looks blasphemously chocolatey! Great idea! I will try to cook the same! Recently I have a lot of time for making a something new. I really advise you to visit the website: http://cooker.guru/best-stainless-steel-rice-cookers-reviews . Here you can know all bout the rice cooker - the better helper in the kitchen. That device can help you to cook delicious dinner and save your time. Hope, the information will be useful to you!